The French Alps are rightly famous for offering a wonderfully wide variety of slopes where skiers of all experience and ability levels can have a fantastic time. There are so many resorts here that finding one you like the look of isn’t going to be too difficult. However, what if you are looking for an advanced option that gives you a genuine challenge and lets you really stretch yourself to the limit? The good news is that there are some resorts in this region that will get you excited no matter how many times in the past you have already gone on skiing trips. The iconic French ski resort of Chamonix is one the best places in Europe to be virtually guaranteed of snowy slopes in winter, as the snow is very predictable here due to its high altitude. It also has a massive skiing area for those advanced skiers who want to test themselves more than usual. The resort offers easy access to a big variety of powder descents and other terrain that is perfect for an experienced skier who want some huge thrills on their trip. Of course, the surrounding area also has slopes that are suitable for beginners, but it is the expert level terrain that really makes it stand out as being a destination to take into account. As for the resort itself, the massive variety of restaurants and bars means that it is the kind of place where a lively ski trip can be thoroughly enjoyed. Another option in the French Alps that remains very popular is the lovely resort of Meribel. This has long been seen as a great choice for skiers of all levels looking for a fun place to stay with impressive slopes. This is a resort that gives you easy access to the brilliant Three Valleys ski area, to ensure that you have a big number of exciting slopes to choose from. It is also well-known for having an interesting selection of off-piste skiing possibilities to get the adrenalin pumping. Another reason for staying here is that the town is packed with lots of great things to do. 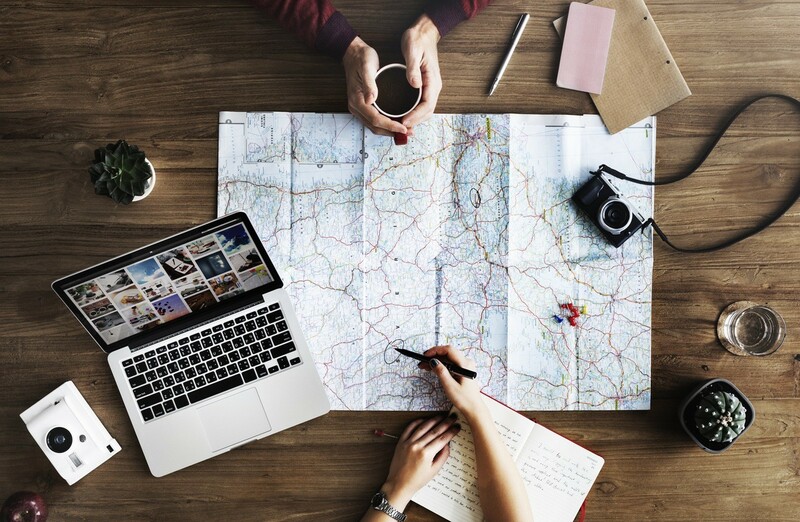 From shopping to dining out and from having a glass of wine to enjoying a wild night out, Meribel offers many ways to relax after a day of skiing. If asked to name the most chic and glamorous ski resort in Europe, many people would undoubtedly mention the name of classy Courchevel. This is a place where the rich and famous come to enjoy a memorable trip in a glorious setting. Having said that, Courchevel is also more accessible for other types of skier than its lofty reputation might suggest. 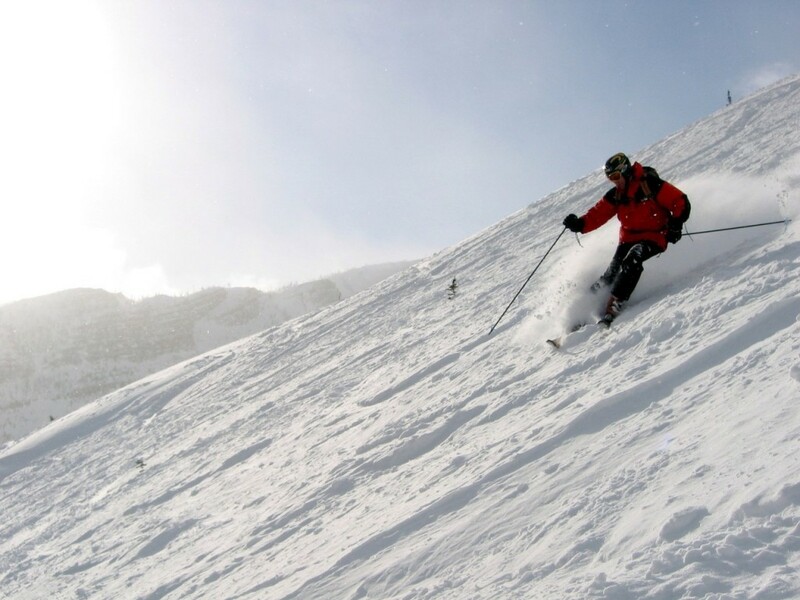 It is especially suitable for advanced skiers who want to take advantage of the fine slopes and giant ski area here. If you stay in this resort then it is easy to get to the wonderful Three Valleys ski area, where there are abundant slopes that will give an exhilarating challenge to even the most experienced winter sports fan. It is the ideal spot for short ski weekends or for longer breaks if you have the time. Another resort in the Alps that is perfect for someone looking to get their pulse racing is the well-established ski centre at Morzine. This is widely regarded at being one of Europe’s top ski resorts and it certainly has a lot to offer those skiers who want to try something that little bit more challenging. Probably the biggest reason for taking a trip to Morzine is that it sits snugly in the heart of the biggest ski area in Europe. 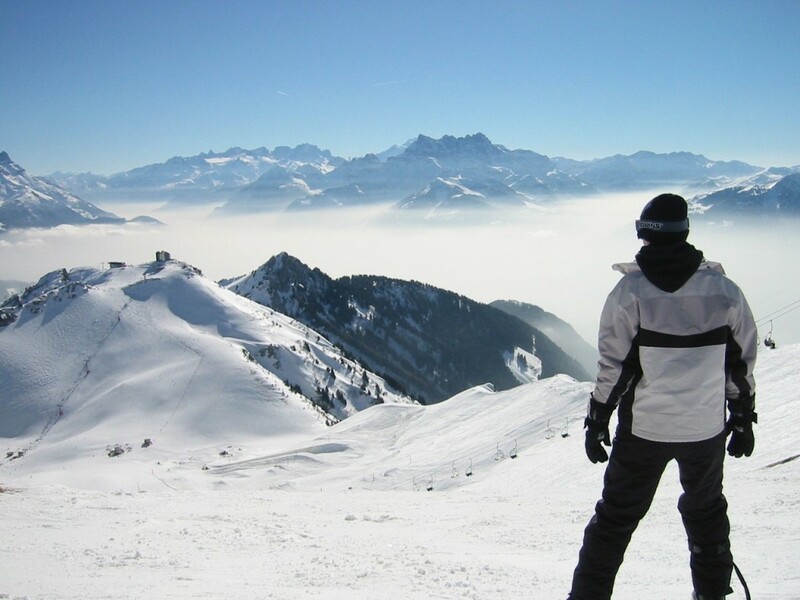 This is because a holiday here lets you take advantage of the sprawling Portes du Soleil area. This is the place to go to if you are looking for a diverse trip that allows you to cram in a lot of different types of ski action in to a short period of time. You can even try some floodlit skiing here before heading off to enjoy some of the best après-ski action in the continent. There are also plenty of reasons for heading to Val D’Isere in order to enjoy a thrilling time on some highly challenging slopes. In this case, the resort is ideally situated for you to enjoy all the possibilities offered by the large Espace Killy ski area. This is one of the best places in Europe to head to if you want to be virtually guaranteed of finding lots of lovely snow to ski on. Val D’Isere has more than enough challenging slopes for it to be perfect for someone who wants to be tested. As with all of the best ski resorts in the French Alps, there is also a buzzing atmosphere that makes it a really enjoyable place to go out for something to eat or for a few drinks. It is also worth pointing out that it is easier to get to Val D’Isere from the UK and other parts of Europe than many skiers think, even if you are planning on travelling there in a motorhome. Flaine has a strong reputation as being a great choice of resort for beginners, but expert skiers shouldn’t overlook it either. The variety of different slopes here means that there is someone for everyone, no matter what level they are at currently. This is the kind of resort where it is easy to find a challenging powder run to get to grips with. Another point worth mentioning is that much of the ski area is lined with trees, making it an interesting and scenic place to go skiing. As for the resort, this is a purpose built but charming place where it is easy to relax and have a good time between the time spent out on the slope. The fact that it is a modern and purpose built resort means that it is one of the easiest Alps resorts to stay in and get around in. With an enviable setting in the fine Three Valleys ski area, La Tania is a great place for enjoying a memorable skiing trip that lingers long in the memory afterwards. As with many of the other top resorts in France, the sheer variety of options means that it is right for so many different types of skier. The laid-back resort is ideal for family holidays but once out on the slopes you can definitely choose to get some high octane action if that is what you are after. There are incredibly exciting runs for experts here that will take your breath away and leaving you asking for more. La Tania is one of the prettiest ski resorts in the French Alps too, so it is a smart choice for a great holiday in a romantic setting. All in all, it is one of those wonderful ski resorts that effortlessly give a balance of thrills and laid-back charm in equal measure. If you are ready to take on a challenge in the French Alps and go skiing on some advanced slopes then there is an excellent selection of resorts to choose from. Make the right choice and you can get have the trip of a lifetime that lets you try out some advanced skiing in a top class setting. ← Surprising Facts About the Limousine!